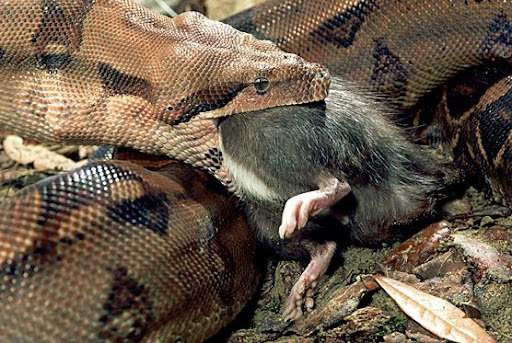 Boa Constrictors eat mice, pigs, birds, frogs, and many other small to medium sized animals of the tropical rainforest. The jaguars of the rainforest eat large mammals such as sloths, deer, and tapirs. 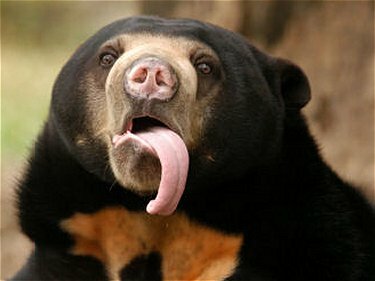 The sun bear, who dwells in Asain rainforests, eats small mammals, birds, and lizards along with plants and nuts.